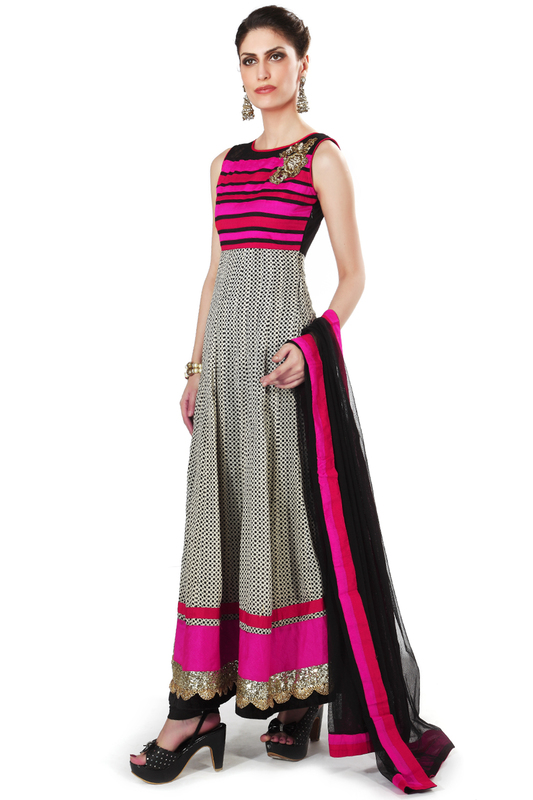 Printed anarkali suit featuring with multicolor silk yoke. Its enhanced with embroidered butti in french knot and zardosi and hem line in sequence and gotta patti lace. Churidar is in black santoon and dupatta in black net.